I'm seeing more and more all black or mostly black shoes in the hip hop fashion world. Casual high tops have been in for some time but a more uniform look is popping up more and more. For the longest time, it was all about flashy colors, having multiples of the same show to match different outfits, then we had the era of clean-cut white shoes... Now I think black shoes are taking over. White still dominates from what I see. Nothing beats a clean pair of kicks in white to me. 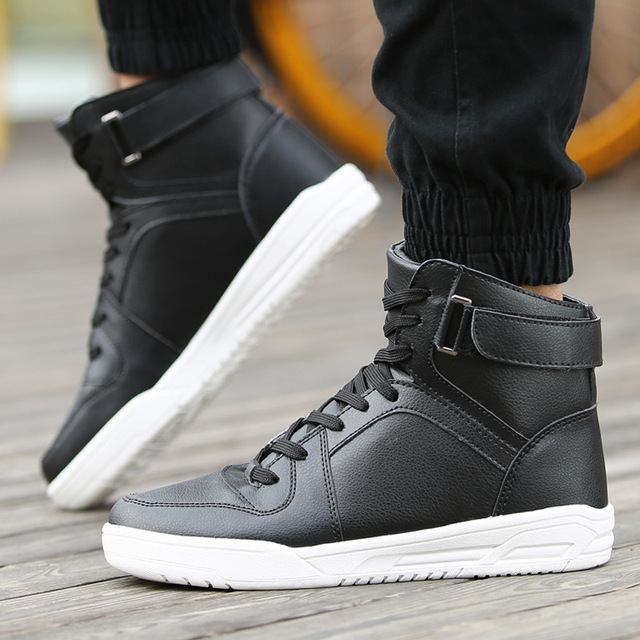 I think all black boots are great but all black sneakers? Not really a fan. I like all black hightops and I think a lot of people rock them because they can be business casual but just because celebrities and rappers wear them more to events doesn't mean they are more on trend point than before. This is what I was thinking. They are clean and look great with suits and what not but most people still rock the white ones. That is like a classic staple since the late 90's. Exactly. I can't count how many tracks have been released just about white shoes. I know Nelly's was pretty big (Air Force 1's). I always preferred darker shoes. I know white has been the staple for all shoes really but black seems to stay cleaner longer or at least look it. I hate wearing shoes that show creases and dirt. It is almost like an iconic symbol at this point. I know it started as a trend but clean white kicks is on par with chains in my book.